Since forming in mid 2012 electro/indie 3-piece SAFIA have supported The Presets, The Aston Shuffle, Peking Duk, Clubfeet, Glass Towers, Owl Eyes, Cat Call, Sonicanimation and Elizabeth Rose, including an appearance at the 2012 Foreshore Summer Music Festival alongside the likes of Example, Calvin Harris, Major Lazer, Porter Robinson, and Flume. 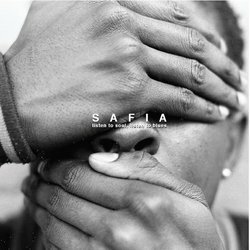 In 2013 SAFIA also took out the triple j unearthed spot to play at Groovin’ The Moo where they played alongside the likes of The Kooks, The Temper Trap, Tame Impala and Tegan & Sara. SAFIA’s track ‘Stretched & Faded’ has received plenty of airtime through community stations including FBi and 2xx. It has also received plenty of airtime through Triple J Unearthed radio and Triple J via Home & Hosed, The Friday Night Shuffle, Tom & Alex, The Doctor, Goodnights, Mix Up, Max Levergne and Lewi Mckirdy. Stretched & Faded has also been used in promo’s for companies and organizations including Tram Session and MTV. SAFIA’s tracks and remixes on Triple J Unearthed have received 4/5 star reviews by Triple J staff Dave Ruby Howe, Nina Las Vegas and Hannah Wickes, and have even received praise from legendary world champion surfer Kelly Slater. ‘Listen To Soul, Listen To Blues’ is a humble soul tune that builds to become an epic electronic jam. With a stand out vocal, emotive melody, intricate production and big synths ‘Listen To Soul, Listen To Blues’ has been likened by many as somewhere between James Blake and Skrillex.